Fall! The slow cooker comes out of its resting place. I know, I know. 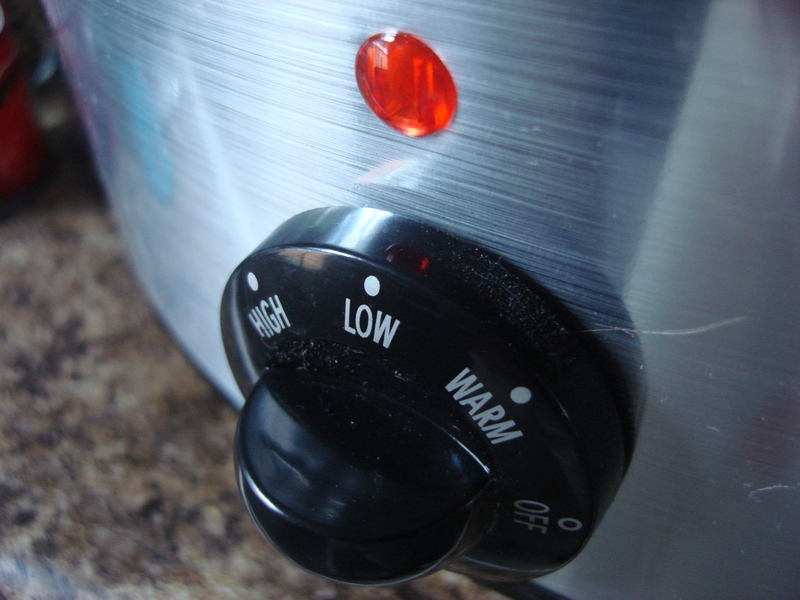 There are lots of reasons to use a slow cooker throughout the year. However, Fall and Winter seem to beg for the use of slow cookers: Leave me be and don’t bother me until I’m warm. That’s the food’s sentiment, of course, as I love any reason for scarves or hats. Don’t get me wrong. We have not even begun the Scarf Season. However, the air is starting to get crisp. And I’m excited, so here is some food to express that excitement. 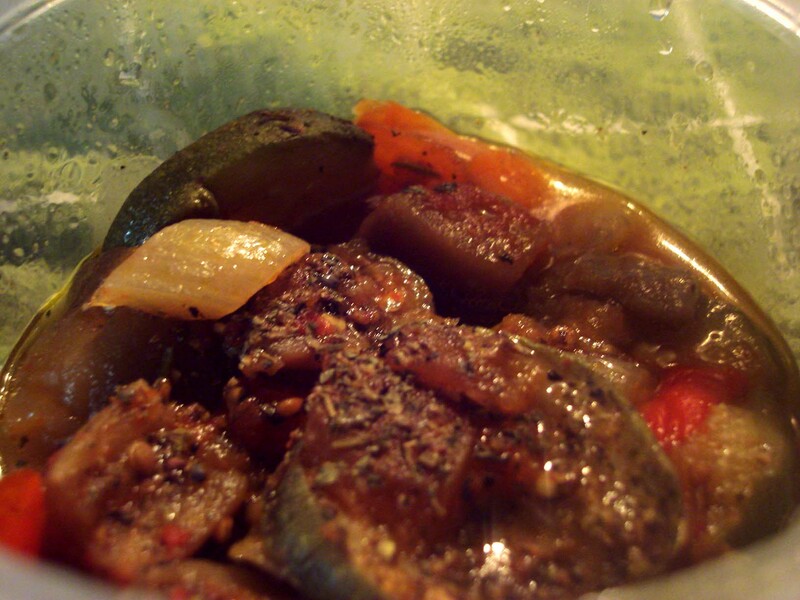 Place chopped and peeled eggplant into colander. Sprinkle with 1/2 t salt. This’ll get out excess juices. Leave in sink for 30 minutes. While that is going, go ahead and chop all your other vegetables. Pat the eggplant dry. Layer 1/2 vegetables into crock pot. 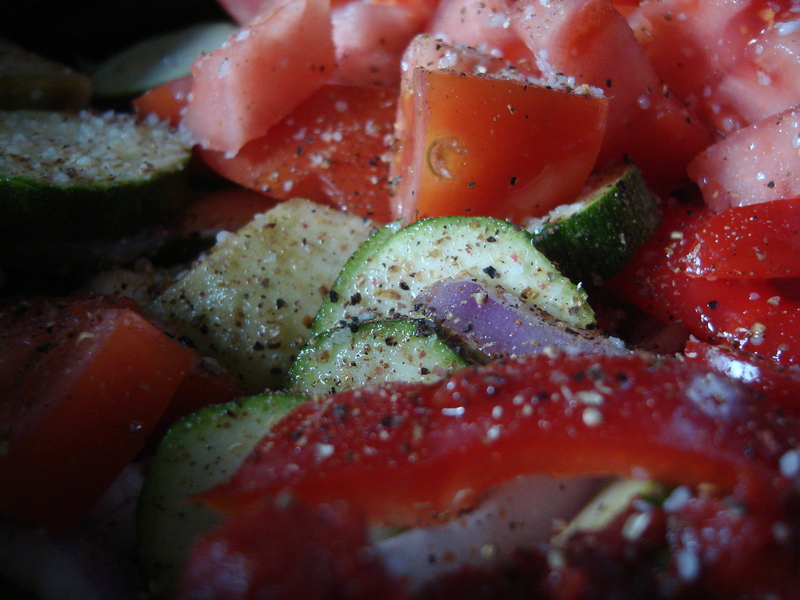 Mix olive oil, black pepper, salt, and tomato paste together, and pour half of the mixture over the first vegetables. Layer rest of vegetables. Pour remaining olive oil mixture over the top. Or eight hours if you accidentally start watching Funny Face, and it takes longer to get to the intermission than you thought because you didn’t start cooking until 4:00 in the afternoon and didn’t start watching the movie until late. Then, you can wait until midnight to stop the movie at the intermission (and not get back to it that night), place the wonderful smelling concoction into Pyrex dishes, load them into the refrigerator, then pass out while attempting to read a book. Oh, and sprinkle with fresh basil and freshly crushed black (or various) pepper(corns). And parmesan, if you’re feeling fancy.